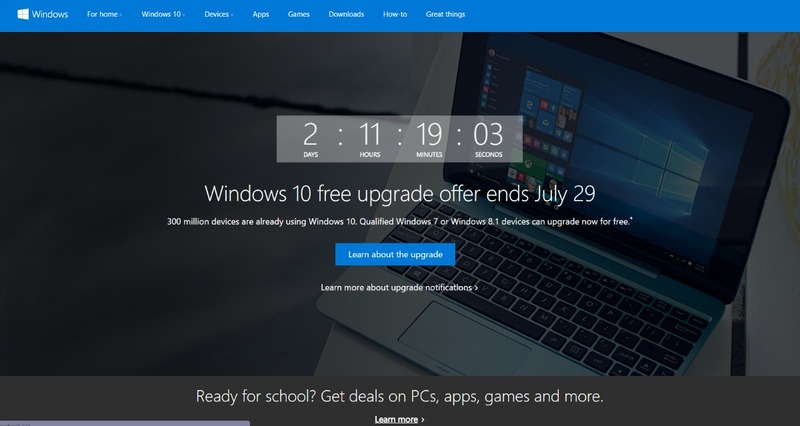 If you have been holding off on upgrading to Windows 10, you are almost out of time to get the free upgrade. The deadline for reserving your copy is July 29, 2016. You are supposed to be able to reserve a copy, even if you don’t install it. (Here’s how to do it.) After the 29th, the upgrade will set you back $120. A lot of people have been put off by Microsoft’s aggressive (and sneaky) push to get users to install the new version. Some computer experts likened Microsoft’s deceptive actions to malware. I know it took over and installed itself on my husband’s laptop, without permission. We had to roll back immediately because much of his specialized music software would not work on Windows 10. When my computer hard drive died on me last month, I bought a new Windows 10 machine as replacement. Much of the software I’d been running on the old machine would not work on Windows 10. I am still scrounging for replacements for voice recognition, photo and video editing software. I am still trying to get one of my scanners to work properly. So your choice to upgrade may be strongly influenced by the software and peripherals you use. If you do upgrade, or if you already have, you should also note that Microsoft is making some changes to Windows 10 with its upcoming Anniversary update. One of the most disturbing changes is that you lose the ability to turn Cortana off. Since I prefer Google to Bing as a search default, this is probably going to be a big deal for me. If you have decided not to upgrade your present computer, the good news is that after July 29th, Microsoft has promised that it will turn off the update nag screens (and presumably the sneaky installs). Microsoft has promised that this is the last version of Windows, making it a sure thing that if you buy another Windows machine, sooner or later, you’ll be running Windows 10. 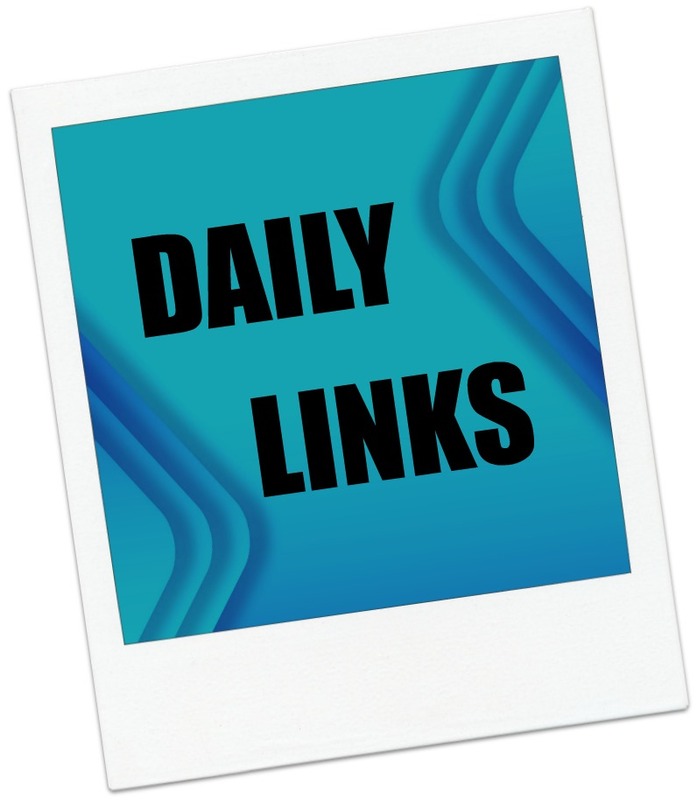 Back in January, I posted news on an Amazon Trade-in promotion that allowed you to trade in older Kindles in both working and non-working condition. That program is coming to an end on March 31st. As I mentioned in that post, I was thinking about trading in several of my older Kindles. Of course, given work, tax prep and a lot of Kindle updates, I never got around to actually completing the process. Interestingly, now that we have gone through all that work of updating our old Kindles, Amazon is offering us another shot at trading-in and getting a coupon good towards an upgrade. 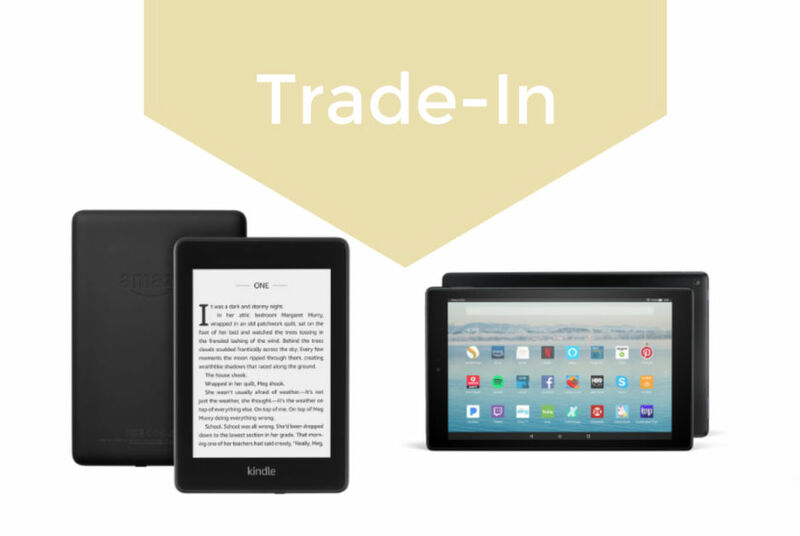 Trade-in values range from $5 to $50, depending on the model Kindle. You can trade in any model of e-ink Kindle, working or not, from the first-generation K1 to the 6th generation Paperwhite. The process is pretty straightforward: You pick your Kindle model, check the box that describes the condition, and then accept the offer. You then print a pre-paid label and send the device to Amazon with seven days. Amazon checks the Kindle and, once the condition is verified, credits you account with a gift card in the amount of the agreed on value and your bonus coupon. Unacceptable device will be returned to you at no extra charge. There are a few terms and conditions that you can read here. If you need help identifying your model, this post that I wrote may help. If all else fails, Kindle Customer service can help you determine your Kindle model. This trade-in offer is good through the end of the year; you have until December 31, 2016 to complete the transaction. The $20 bonus coupon can be used towards the purchase of a new Kindle, Kindle Paperwhite, Kindle Voyage or Kindle for Kids bundle. The coupon must be used by February 28, 2017. After having to update all those devices that I don’t really use, I had already decided that I was definitely going to have to get rid of some of these old e-readers. No excuses this time! This new offer means I don’t need to drop everything and get it done before the 31st. 🙂 Now, if Amazon would just make me an offer on my original NOOK First Edition or my Onyx BOOX Afterglow 2…. Did anyone take advantage of the last trade-in offer? How did the process work for you? Please leave a comment, we’d love to hear about it! Amazon has a promotion going on encouraging you to trade in your old Kindle. It sounds pretty simple. You answer a few questions about your Kindle’s condition to get a trade in quote. Then, print the label and send it in. Amazon will verify the condition and apply a gift card to your account. You also receive a $20 discount good towards the purchase of a new Kindle, Kindle Paperwhite, Kindle Voyage or Kindle for Kids bundle. Have a broken one? No worries. Even non-working Kindles are eligible for trade-in. There are limitations, terms and conditions to the offer which expires on March 31, 2015*. You can find out more info here. I have several working 1st generation Kindles I need to decide what to do with. This might be worth checking into as an option, although the last time I checked the trade in values, they weren’t offering a lot. I think it would be a no-brainer for a non-working device or one whose battery doesn’t hold a charge anymore. It is a great incentive to recycle or upgrade a device. Are you interested in trading in your old Kindle towards a new one? *Updated to add that I think this may be a misprint as the promotion just appeared, but I am checking with Amazon to verify. *Update 2: I spoke to Kindle customer service and they assured me that this offer is indeed still valid. The CS rep I spoke to also thought that this was a typo (it is the first day of 2016) and that would be she would be initiating a support request for someone to check the web page copy. *Update 3: The first date was a typo. This offer ends on March 31, 2016.